In the space of five years, coworking spaces in London have been springing up everywhere. If you’re a lone wolf, or currently growing your team, there are loads of places to choose from. Or if you need a place to meet clients or staff for a coffee meeting then investigate some of London’s finest private members clubs. Finally, if you don’t have the funds for permanent residency, there are hot desking options plus coworking meetups that can get you out of home (and your PJs) and inspired. Have a community-oriented coworking space you want listed? Just email the details through in the format shown below to make it super easy for us. Subscribe to The Fetch newsletter to discover the best events and reads for professionals. To find out what’s happening in coworking and private member clubs plus more in your city, subscribe to The Fetch weekly email digests now! Many thanks for including us, but could we please amend the email address for TechHub to: hello@techhub.com? Thanks a lot! I forgot http://deskcamping.com/ ! Can we add them to the list under resources? Hi, just goes to show these coworking spaces are cropping up all over the place for entrepreneurs to get their work done. We recently started up Coworking Space Ltd and have a floor in a building just a few footsteps away from Chancery Lane station. Can someone add us please? Thanks a bunch for the comprehensive list! Love it and even went to two of the venues already. Cheers! larouchepac dot com —- can save you time. Also see: archive dot larouchepac dot com/1932 and: larouchepub dot com. Thermonuclear War ahead ???? Maybe it’s worth mentioning that we’re London-based startup making software for managing coworking spaces called OfficeR&D – https://officernd.com. Any thoughts, feedback and comments are very welcome. Check out http://www.spareoffice.co.uk for more listings in London. Coworking spaces available for every size and budget! At Co Work Hub, we are helping make coworking easier in our coworking office space in West London. Join our coworking revolution. Check out TheCoClub.com Collaboration and CoWorking workspace in West London. Workstations from £199 per month with flexible contracts. Nice article. Thanks for the info. I am also planing to start my start-ups and looking for co-working office space in london. hope this article will help me to find out one. Thanks for the list, but you missed off The Brew http://www.thebrew.co.uk – which has four locations in Shoreditch. 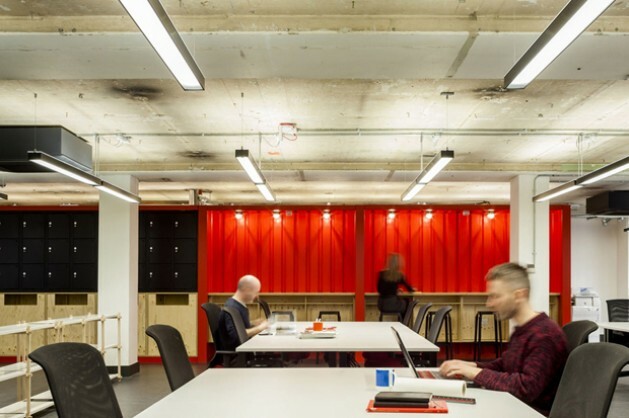 Co-working and private offices are available from £296 per person as well as lots of other essential services that support start-ups, small businesses and freelancers. The first location is in Fulham @ The Tommy Tucker, with several locations around London opening soon. It is a great for people in need of affordable and convenient workspace to help further their entrepreneurial ambitions. cowork hub is moved to nottinghill gate. check out this new working environment place . you can browse by using this link.